Fast colourA4 flyer printers, online recycled leaflet print prices for full colour leaflets printed and delivered to Wales at very competitive prices. 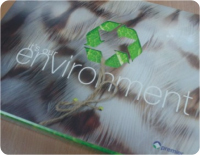 Fast online full colour A4 recycled leaflet printers of A4 recycled leaflets at low printing prices. Full colour one sided recycled gloss leaflets, printed onto 150 gsm recycled gloss art paper. Full colour two sided recycled gloss leaflets, printed onto 150 gsm recycled gloss art paper.